A delicious homemade chicken soup recipe from scratch. 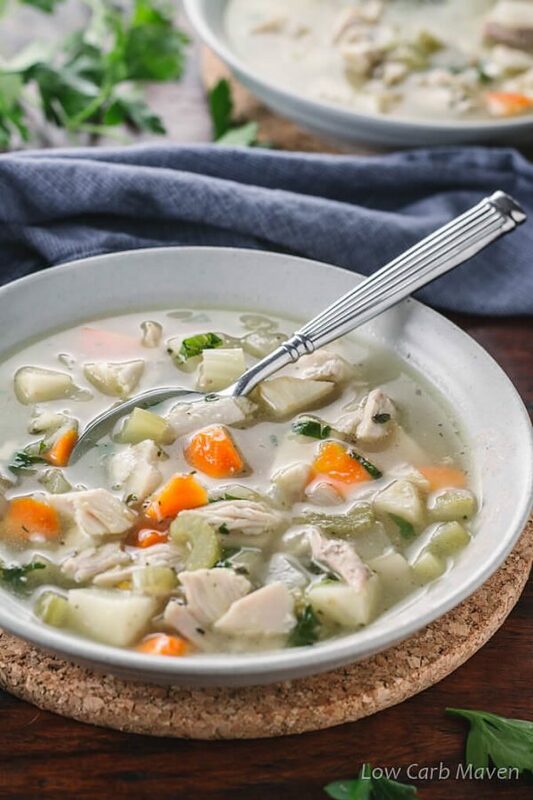 This low carb chicken soup is loaded with vegetables and chicken. It’s ready in 30 minutes. Cold and Flu season is here. When someone in my family is sick, I make this quick recipe to warm and comfort them. We save the bones from store bought rotisserie chickens and our roast chickens to make homemade bone broth which serves as a gut healing base. A simple chicken soup is easy to make and this recipe is ready to serve in about 30 minutes. For my kids, who eat more carbs, I add a little cooked pasta or rice to their bowls. 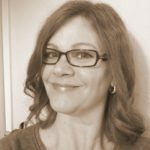 My husband and I like this low carb chicken soup recipe as is. Chicken soup satisfies the soul as much as it does the appetite. I find it fascinating that it’s a part of so many cultures around our world. Despite differing recipes and preparation, chicken soup is ever a popular cold remedy and warming bowl of comfort on cold days. Made with bone broth and fresh ingredients it becomes a restorative full of collagen and minerals. Since this is a low carb chicken soup recipe, changing the classic French ratio for mirapoix (a mix of vegetables used to flavor sauces and soups) considerably reduces carbs. The classic ratio for mirapoix is 2 parts onion to 1 part each of celery and carrot. My low carb mirapoix swaps the celery with the onion to yield: 2 parts celery to 1 part each carrot and onion. 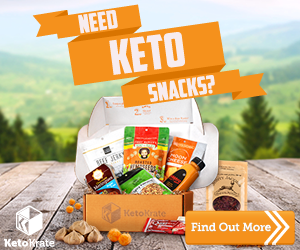 Some lowcarbers and ketonians take issue with using carrots in recipes because they are high in sugar. Since carrots contain vitamins, minerals, antioxidants and fiber, I’m loathe to leave them out of recipes which depend on their flavor and color. Instead, I choose to use a smaller amount and maximize visual appeal by roll cutting them. Rolling a carrot produces smaller chip or wedge-shaped pieces which fool the eye into believing there is a larger volume of them. To roll a carrot, hold the knife at an angle and cut a small piece off of the carrot. Give the carrot a quarter turn and cut another piece. I start at the small end and work my way up so I can make sure to keep the pieces about the same size. This video provides good instruction on how to roll a carrot. 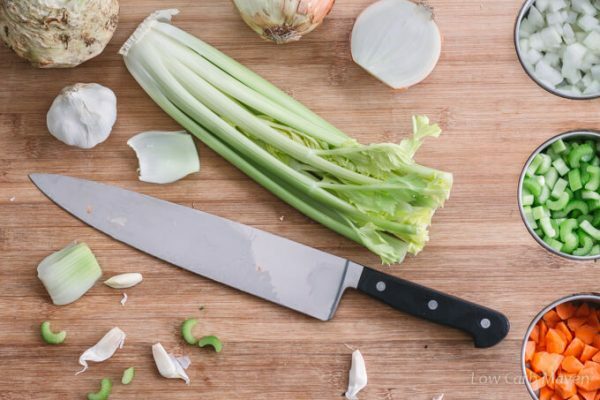 Choose low carb vegetables (check out this comprehensive low carb vegetable list). Use a smaller amount of higher carb vegetables like onions, garlic, carrots. 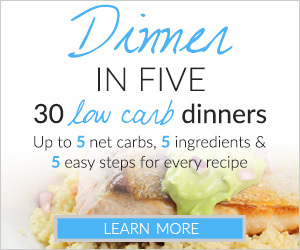 Swap starchy fillers like potatoes, pasta, and rice with celery root, spiralized vegetables, or riced cauliflower. Add more meat than veggies. Many recipes for chicken soup include noodles or potatoes which are avoided on a low carb diet. Instead, add spiralized zucchini, daikon radish or shiratake noodles as ketogenic noodle replacements. 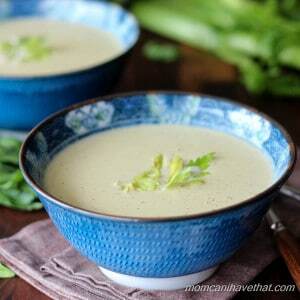 I like to add celery root to my soups and stews! Celery root (celeriac) looks like potatoes and provides a nice depth of flavor, similar to a parsnip, to soups and stews. Start by sautéing the vegetables in butter, add wine and herb seasoning and cover until softened until the vegetables, 2-3 minutes. Add the chicken base and stir. Next comes the chicken broth. Heat until it comes to a boil, then turn it down to a simmer. Add the chicken and warm through. Done. 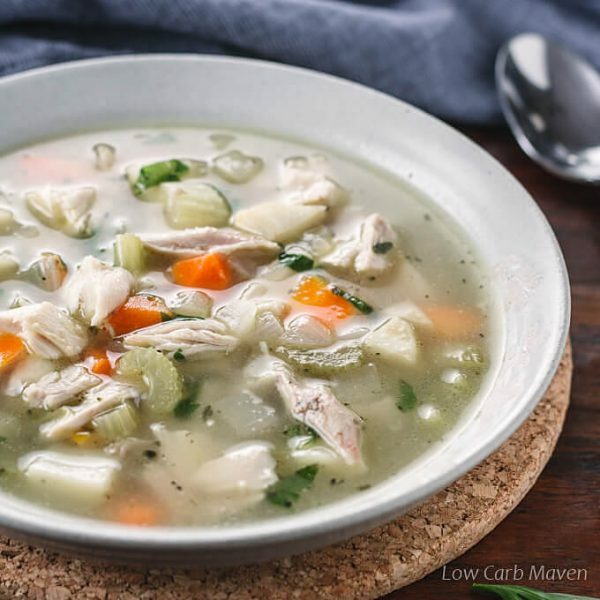 Each serving of this warming low carb chicken soup is 5 net carbs. A delicious homemade chicken soup recipe from scratch. 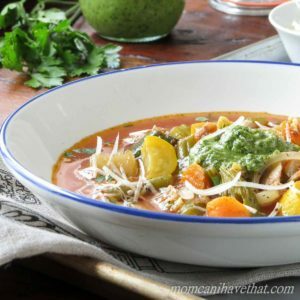 This low carb chicken soup is loaded with vegetables and chicken. It's ready in 30 minutes. Dice the chicken. Peel and cut the vegetables. Place a 4 quart lidded pot over medium-high heat. When hot, add the butter (or oil) and all of the vegetables, lemon zest, and bay leaf. Stir to coat the ingredients. Reduce heat to medium and add the garlic herb seasoning blend, the chicken base and wine (or lemon-water combination). Stir and cover the pot to sweat the vegetables until they soften but do not brown - about 3-4 minutes. Add the chicken broth and bring to just under a boil. Reduce the heat to a simmer and cook until the vegetables are cooked through. Pierce a vegetable of each kind with a fork to check. If the fork goes through easily, it's tender. Add the chicken and salt and pepper to taste. I add lots of pepper because it makes the soup more savory. Serves 6 at approximately 1 1/2 cups per serving. Don't like the idea of store-bought beef or chicken Base? Make your own bouillon following these instructions. Do you disolve the bouilion cubes in water or toss them in with the veggies to disolve later with the broth? This is the first time I have ever made soup. I was craving chicken soup lately and needed to make my own since I’m now on a low carb diet. The recipe is wonderful! Everyone loved it! Thank you! 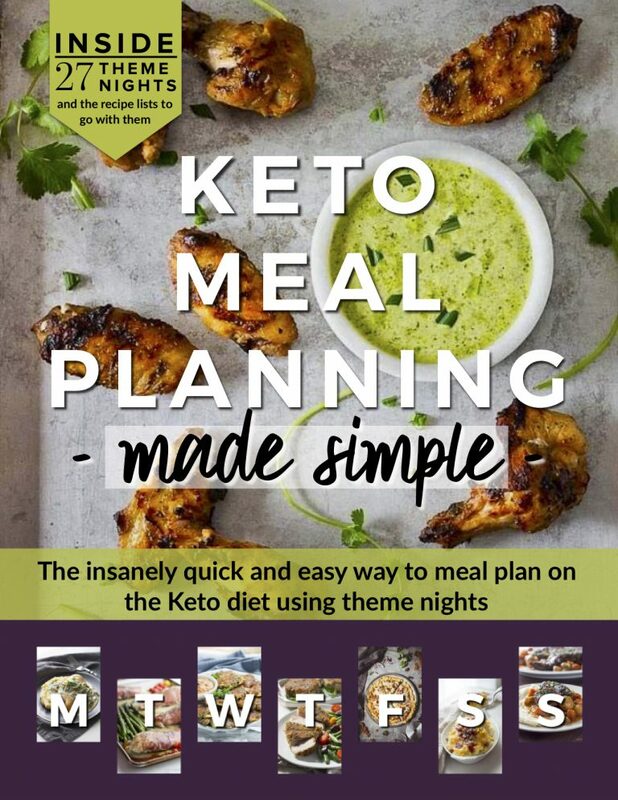 Hi Kim…..I make a similar soup but I add greens for bulk and taste to make it a meal….. just needed a clarification on the macros. The chicken works out to 2oz per head for 6 servings. According to USDA database that I have been using to calculate the macros 12 oz cooked chicken would have about 100gms plus protein. 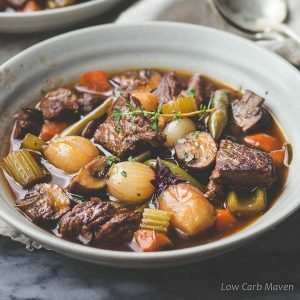 Would the broth and base add so much protein so as to make it 30gms of protein per serve? I normally use the water I poach my chicken in as stock for soup.. Thanks Kim for the clarification. Are the portions enough for a side or a meal? I was thinking making it 4 portions may be adequate for a meal. Your thoughts? Thanks again. Nothing beats a good chicken soup, I really make it so often. I also saved the bones from roast chicken and cook them with a few more fresh parts and some veggies for a long time, that makes the best chicken stock ever. I’ve never would have thought that onions and garlic are high in carbs, I’ve never really thought about vegetables in terms of carbs.